Admission Forms And Fee Schedule For The B.A./B.Sc. Annual Examination 2015. 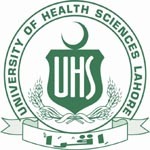 University of the Punjab Lahore has issued the admission and fee schedule. It is hereby noticed to the Regular, Private Candidates that fee and admission schedule for BA and BSc is issued by the university of punjab. So the students can see the information about the admission in punjab university for B.A and B.Sc. For more information click Here. The schedule is given as under. The date of commencement of B.A./B.Sc. Annual Examination, 2015 will be announced later.